Are you looking for gifts for a natural beauty lover? This holiday season we are delighted to recommend to you products by 12 gorgeous, natural brands that put quality, purity, transparency and passion at the heart of everything they do. 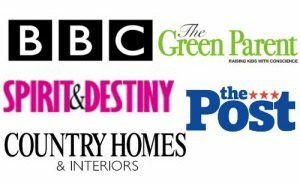 We are also incredibly proud of them, as these 12 brands are all founded by our students and graduates! Do you dream of starting your own beauty brand? Well, these 12 students had the same dream – and look at them now! After studying with us they went on to create these AMAZING brands! We’re so proud of their creativity and achievements, and so impressed by their gorgeous, innovative products. Let their success demonstrate what could be possible for YOU too! … And until then, check out their awesome products in this Holiday Gift Guide – from cleansing balms to luxurious facial oils, they’ve got you covered! Bringing wellness and beauty through natural and effective skincare products packed with organic oils, aromatic waters, herbs, clays and active botanical extracts. Alexa Sky Botanicals encourages you to create a moment in your day for a wonderful skin-nurturing beauty ritual. Our products are handmade in the UK with passion, love and attention to detail, and have been developed for those with skin sensitivities such as psoriasis and eczema. The gentleness of our products and the efficacy of their ingredients provide amazing results and cumulative health benefits for people of all skin types. Our ingredients are meticulously sourced from organic growers and local communities from around the world. Our products are completely free of parabens, synthetic dyes, colors, synthetic fragrances, mineral oils and GMO ingredients. We never test on animals. Boasting a high level of vitamins, mineral, antioxidants and omega fatty acids essential to repair and rejuvenate the skin, this facial oil specialises in enhancing skin hydration, boosting elasticity and helping to support the skin’s natural antioxidant system to prevent premature skin aging from the sun, pollution and blue light. Gently massage into your skin to lock in moisture, while softening and restoring your natural glow. When you have a good foundation, you feel confident to go forward and to do well. 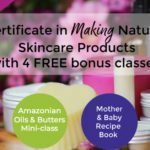 I’m so grateful for Gail and Gareth and for their Diploma in Natural Skincare Formulation… and [when I decided to create a beauty brand] I went straight for the Price Your Beauty Products For Profit course, because I thought I’m going to make a living from this, I need to price my products properly. Offering nontoxic, healthy and luxurious face and body products with a focus on anti-aging and skin rejuvenation. Ayr Skin Care is a proud member of the Greener Life Club, a world leader in cosmetic ingredient manufacturers that advocates green practices in life and in business. 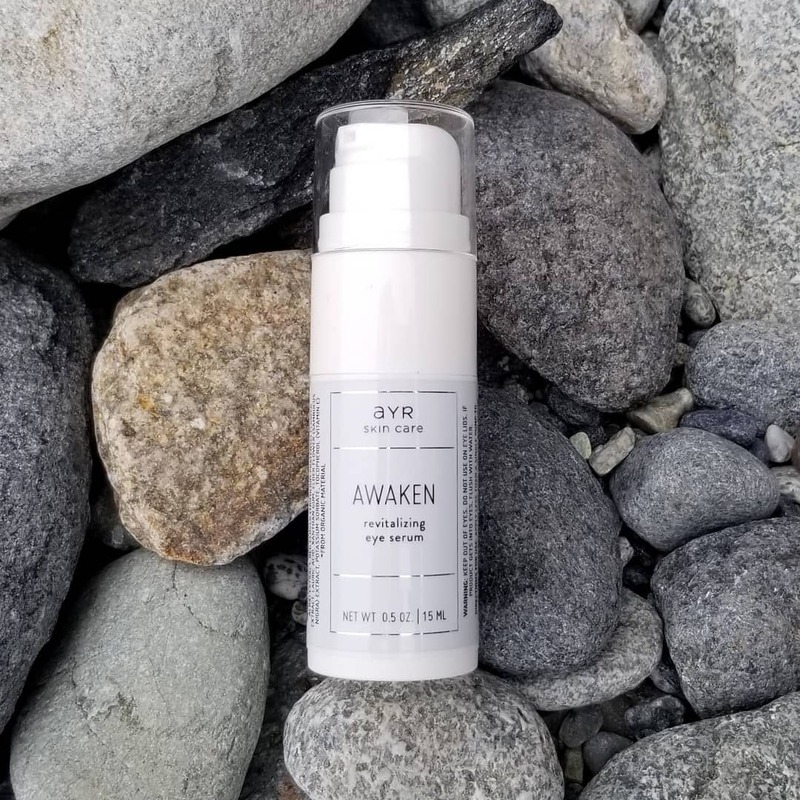 Here at Ayr Skin Care, our goal is to provide handcrafted products carefully prepared in small batches and made from natural and organic products of the highest quality. Our philosophy is that you’ll not only feel the difference that a luxurious product imparts, you’ll need less of it to experience vibrant and visible results. We call it “the ultimate in affordable luxury”. We offer 100% vegan skincare for the face and body. Our products are driven by sourcing the highest quality ingredients, which are carefully chosen to be non-comedogenic and hypoallergenic. 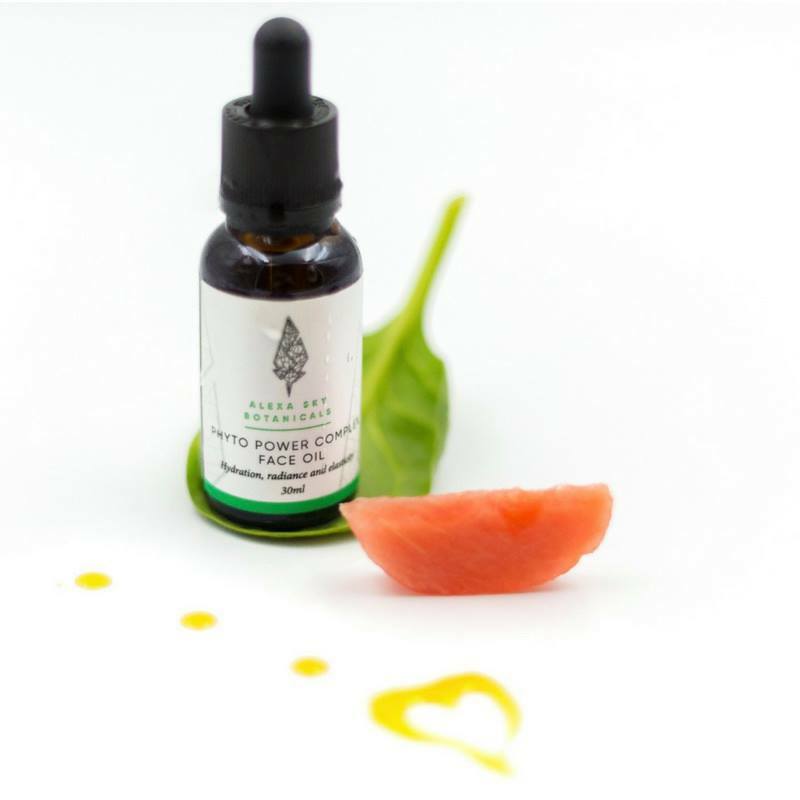 This gorgeous, 100% vegan eye serum for sensitive skin is packed with high performance actives, including green tea, pomegranate, and antioxidant-rich caffeine, to soothe and brighten the sensitive areas around your eyes. So far, I have completed the Certificate in Preservative Free Face Mask Formulation, and am about a third of the way through the Diploma in Natural Skincare Formulation. I have been very pleased with the community of the school, the staff and support. I think that it is so important to have a community where you feel able to talk to others and receive tutor support when you are learning something new. I haven’t decided when and how I will be including a face mask in my product line, but I know that when I do, the groundwork that I have learned with the School of Natural Skincare will help me make my final decision and formulation. 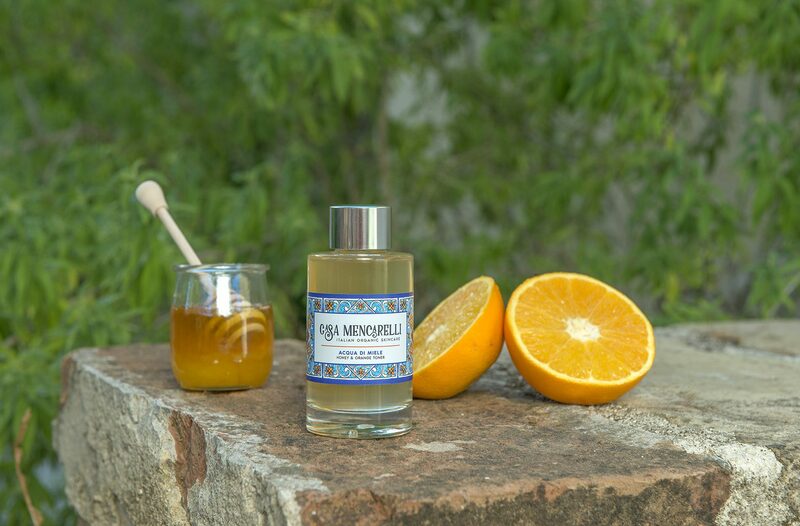 Casa Mencarelli loves your skin – our products contain only what the Earth provides. No synthetic chemicals, added fragrances, mineral oils or fillers. Simply luxurious, natural beauty. We believe that skincare should be a total wellness experience and to that end, only use nourishing organic ingredients, preferably raw and food grade. Our Italian-inspired range is certified organic by COSMOS/Soil Association – our naturally rich products nourish your complexion inside and out, cell by cell. Within a few weeks you will glow like the Italian sunshine! Containing organic orange blossom hydrosol and the finest Italian organic honey, this delicate yet effective toner respects the natural balance of the epidermis and leaves the skin soft and smooth. Offering gently cleansing, exfoliating and capillary-toning properties, this product will minimise the appearance of pores while also conditioning your skin. I recently launched my brand, certified organic by COSMOS/Soil Association. I have studied for the Certificate in Preservative Free Face Mask Formulation, the Certificate in Making Natural Skincare Products, and Selling Your Skincare Products in Europe and the UK eKit course. 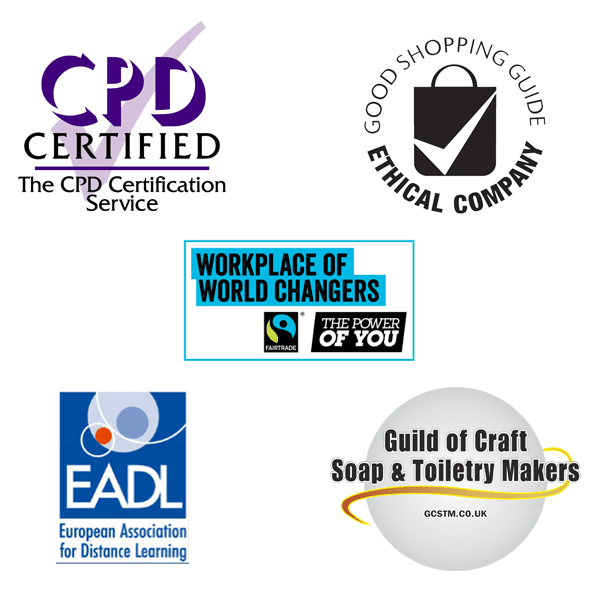 Thanks to these courses I now have a beautiful product range and I know all the requirements to be legally selling! We are passionate about using natural skincare and bodycare products and our range has been developed from this. Ingredients with unique benefits, blended together or on their own – it’s what makes our products so good. Cut.le.crap offers products completely free of any chemical nasties – we have nothing to hide! The full list of our ingredients are available for everyone to see. 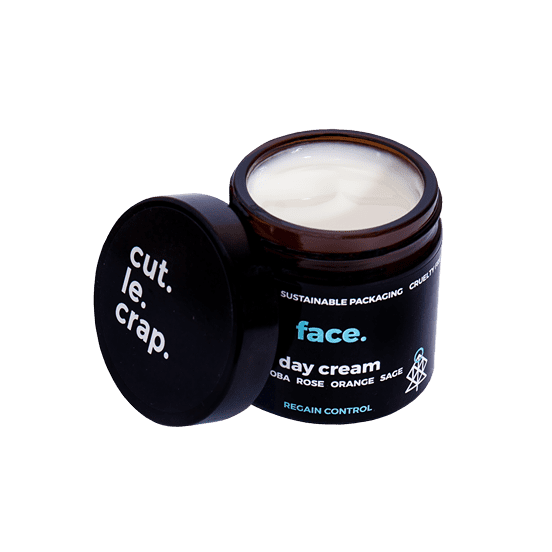 You can be totally confident that every product in the Cut.le.crap range has been meticulously sourced and formulated, using only completely natural plant-based ingredients, with unique benefits to the skin and body. But we take it further – we believe that personal wellbeing is nothing without a healthy planet to live on. This means we are fully committed to being a sustainable business – from packaging to posting, labels to manufacturing, we’ve got it covered. This 100% natural moisturizer works wonders on dehydrated skin, yet is very light. Offering deeply nourishing and moisturizing properties, this handmade product is also vegan friendly and completely toxin-free. I have a clear vision of how I want to grow my business, becoming even more sustainable and being in total control of my supply chain as well as making the products. I felt that if I wanted to really shape my brand in a unique and personal way I needed to be able to formulate myself. That’s when I decided to go ahead with both the Diploma in Natural Skincare Formulation and the Diploma in Natural Haircare Formulation. Feed and nourish your skin with our botanical facial oils, packed full of nutrient-rich, synergistic ingredients. Indagare’s two flagship luxury facial oils were both recipients of the Editor’s Choice Award at the International 2018 Beauty Shortlist Awards. 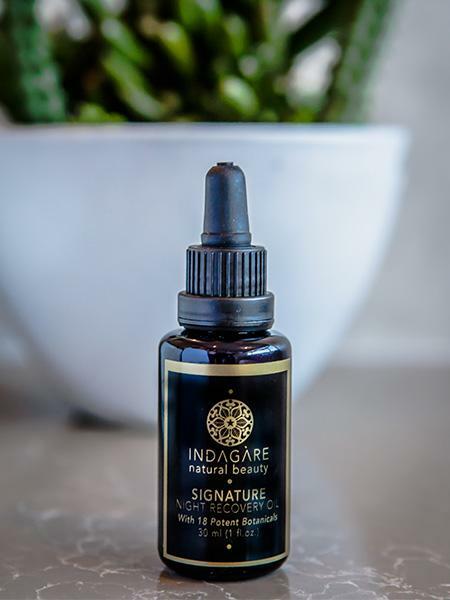 Indagare’s luxurious, non-toxic products are designed to deeply impart their youth-preserving nutrients, restoring health to the skin – naturally. 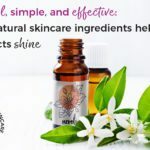 “Indagare Natural Beauty was born from more than two decades of frustration with dealing with congested, hormonal skin — and an awakening to the effects that modern-day, unsustainable living practices are having on our bodies and the world. An investigative journey into both these issues became a consuming personal project and passion, culminating in the formal study of Natural Skincare, and finally managing my difficult skin”. Product highlight: Indagare’s two flagship facial oils: Illumino Youth Serum and Signature Night Recovery Oil. Lightweight and incredibly potent, Illumino Youth Serum is created from certified organic prickly pear seed oil. Containing an impressive 18 luxurious and regenerative ingredients, Signature Night Recovery Oil works to ensure hydration, suppleness and glowing health. I was really drawn to the School of Natural Skincare. I liked that they were a couple with young kids, because my whole career had been built to work around my kids as well, so I really related to that. One key thing the course taught me that I constantly return to is: what am I trying to achieve here? Who am I formulating it for? Without this central focus, I could go off on all sorts of tangents! At L’infiniti we utilise the abundant healing properties of plants, formulating products that are friendly and kind to Mother Earth, as well as uniquely beneficial to your own health and skin. L’infini embodies our love for nature and our belief in the power of holistic and energy healing. We honor the environment, animal welfare, and the skincare needs of our clients. We offer products all formulated with healing in mind – of the skin, of overall wellbeing, and of the planet. We harness the natural healing properties of plants, as well as the power of Reiki and crystals. None of our raw ingredients have been tested on animals, and all products are biodegradable and Ecocert-approved. Every ingredient has been carefully selected to ensure that it complies with the global NPA (Natural Products Association) and Global Soil Association Standards. 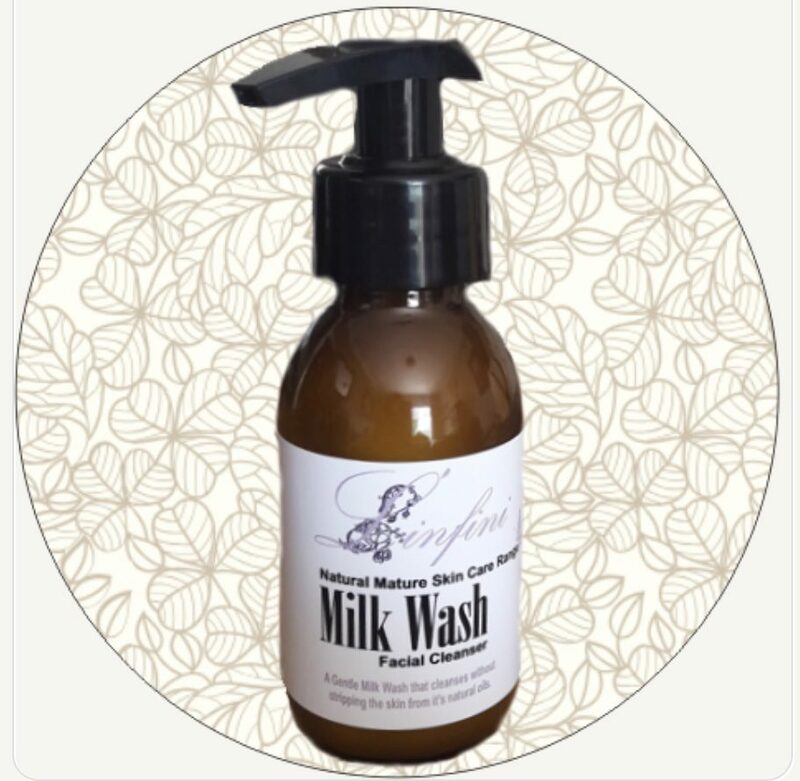 A completely vegan ‘milky’ wash formulated with coco glucoside (derived from coconut). Contains specially selected oils to cleanse the face of dirt and make-up without leaving it dry or stripping the skin of its natural oils. Formulated for mature skin. I have been making creams and lotions for almost two years and always stuck to the same emulsifier formulas suggested by the supplier, not really knowing why I was doing it the way they suggested. But since starting the course I have learned why, how and when to use various oils, emulsions, waxes, butters, etc. I am having a blast mixing and matching and making up my own formulas! 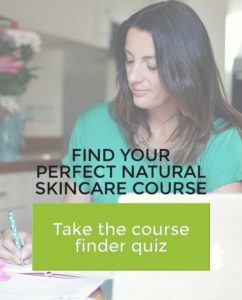 So I just want to say Thank You to the School of Natural Skincare for making this wonderful course available, and for always being ready to provide answers to my questions. I have learned so much from the course and the student support group over the past few months that I am now ready to launch my own natural beauty brand! M&O Naturel has a simple philosophy: to use what nature provides in order to care for our skin. We aim to transform the simple routines of skincare into a real moment of wellbeing and relaxation. Founded in Switzerland in 2014, M&O Natural was originally developed to create a body butter for our little boy, who was suffering from eczema. Since those early days the company has expanded into a full range of face and bodycare products for the whole family and for all skin types. M&O aims to provide you with the care your skin needs, and we guarantee the quality of our ingredients. No product is tested on animals, and many of our products are vegan. 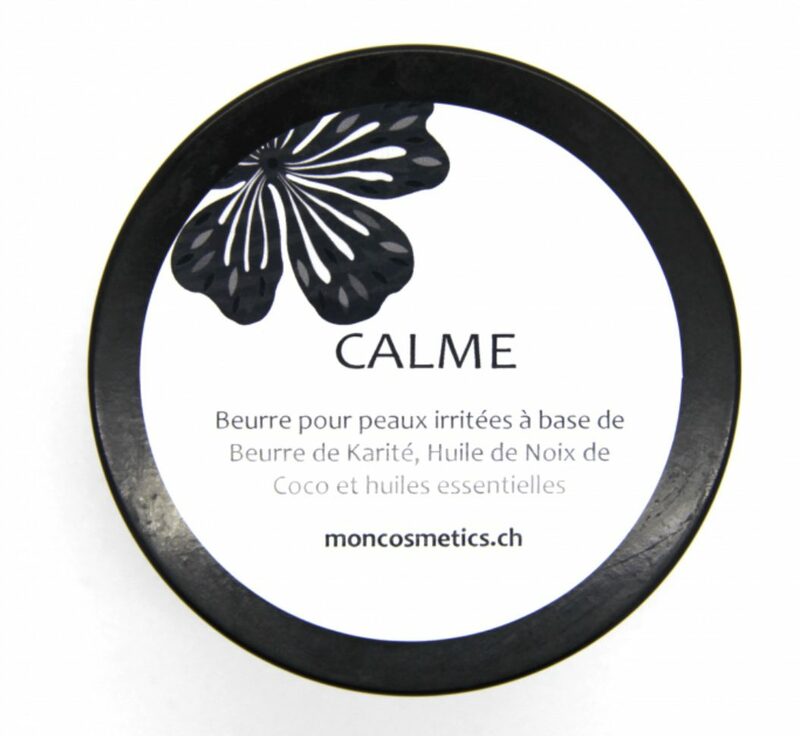 Product highlight: Beurre Calme is a luxurious mix of shea butter, coconut oil and essential oils with soothing and anti-inflammatory properties. This butter is ideal for irritated skin, as it hydrates and soothes, leaving your skin soft and silky. Learning about formulations were a big takeaway for me, because it made me look at things differently, made me realise what’s possible. 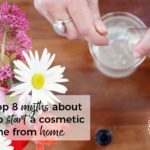 The biggest factor, though, was the way the Diploma in Natural Skincare Formulation made me feel – like I could actually do this, create a brand – it just gives you that confidence. 100% vegan and waterless skincare products, lovingly handcrafted in England. Packed with plant extracts, oils and omega-rich butters, our potent blends mean a little goes a long way. We create formulations from brilliant botanicals. 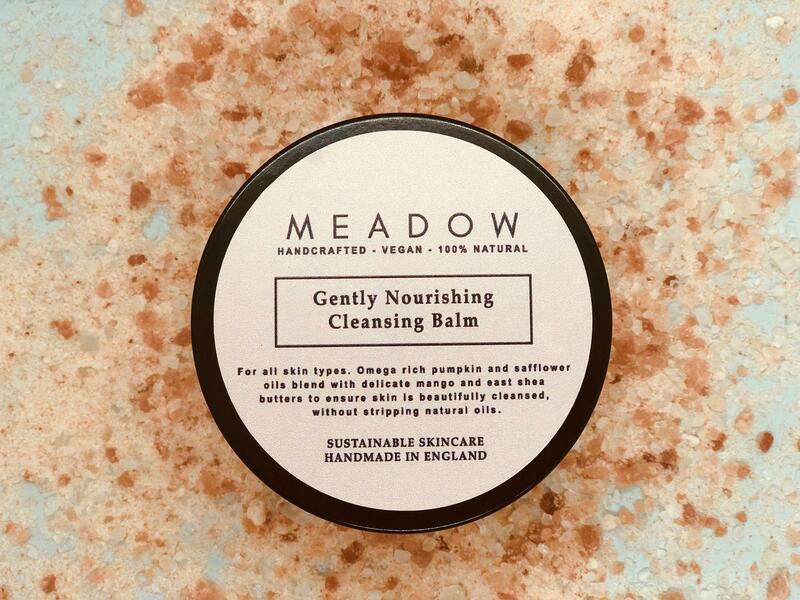 Everything created by Meadow never compromises the health of your skin, or the environment. Our products target modern day worries including pollution, pigmentation, sun damage, toxins, aging and dehydration. Our simple toolbox of completely waterless products is the perfect remedy, built to blend into your morning and evening routine. We only use plant based cold-pressed oils, butters and clays and avoid refined products, artificial chemicals, parabens, alcohols and other nasties. We pride ourselves on sourcing only the best raw, active ingredients nature has to offer. Our entire collection is free from soy, dairy, wheat and gluten. Product highlight: Gently Nourishing Cleansing Balm. With omega-rich pumpkin and safflower oils, blended with delicate mango and east shea butters to ensure skin is beautifully cleansed without stripping natural oils, this Gently Nourishing Cleansing Balm effortlessly removes makeup, toxins and dirt from the skin. 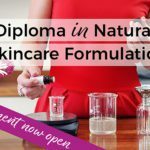 The Diploma in Natural Skincare Formulation really broadened my knowledge of waterless beauty and gave me the confidence to create some beautiful formulations. 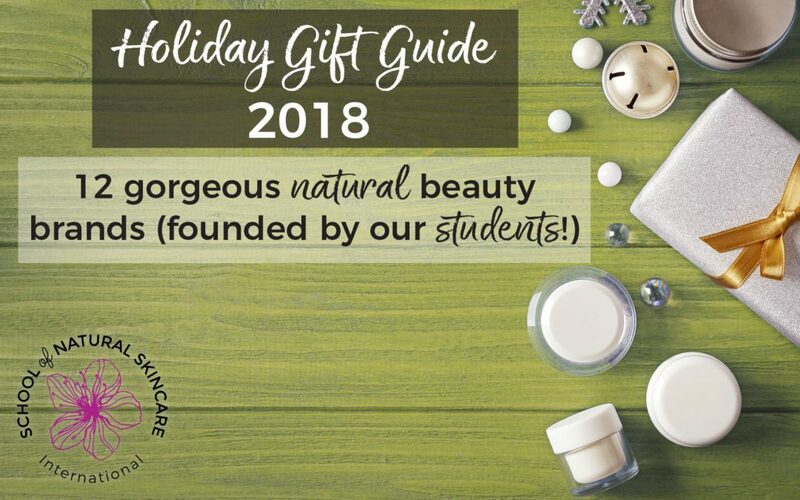 Thank you School of Natural Skincare! MZN offers natural skincare and bodycare products handmade in Saudi, formulated with carefully selected ingredients that benefit the skin in a natural way. 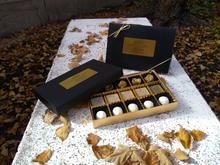 MZN is a family-run, small-batch artisan producer located in Dhahran, Saudi Arabia. We are passionate about using natural and organic ingredients to create beautiful and effective skincare products. We care deeply about raising awareness of the natural alternatives to the dangerous compounds often present in commercial skincare products. We offer a variety of products for your skincare routine, and we also create natural products for men. 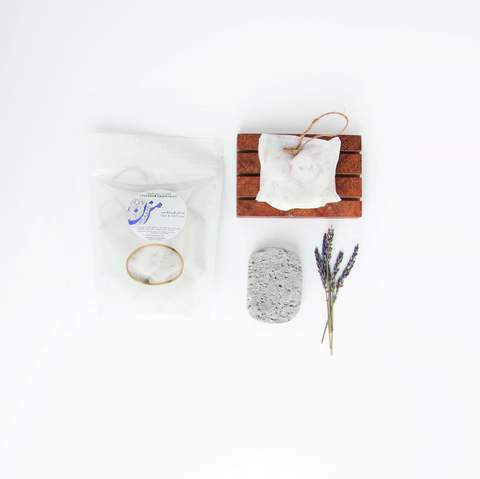 This luxurious bath soak is made from sea salts, Epsom salts, oats, dried flowers and essential oils. The salt mixture eases stress, flushes toxins from your body and aids relaxation. The oats, flowers and oils keep the skin soft and smooth. The deeply relaxing properties of lavender essential oil are balanced with the stimulating and immune-boosting properties of grapefruit essential oil. You will emerge from your bath relaxed and refreshed! 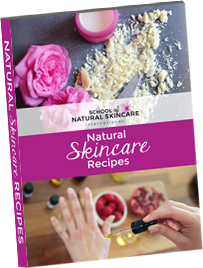 What I have found most useful is knowing the science behind cosmetic formulas so I can tweak them or use alternate ingredients myself. A lot of recipes I found online were not safe to use so I needed to know how I could adjust them. I found the worksheets and charts provided so useful. They have made it so easy for me to do my own formulas. If you told me two years ago that I would have my own brand today I wouldn’t have believed you. Just go and do it… there is nothing else like it. Offering an at-home, luxurious spa experience for our hard-working customers. Indulge yourself! We have created a range of 100% natural skincare and bodycare products for busy women who would like to take a moment for luxurious spa pampering – but who don’t have much time. Our at-home, effective and luxurious spa experience products soothe and beautify your skin using the many wonderful natural ingredients the world has to offer. Containing an assortment of all-natural, artisan skincare and bath products featuring cocoa butter, this unique and thoughtful gift box is sure to please even the hardest to buy for family members! Relax into a delightfully scented fizzy bath with our Turkish Bath Delight. Exfoliate with our Sugar Scrub Truffles to reveal smoother skin. Smooth on our Body Butter Bon Bons to pamper any dry areas. Delicious! Wheesht focuses on natural, vegan and cruelty-free products. We are also firm believers in social responsibility. We aim to provide our customers with ethical skincare products they can use with a clear conscience. We also encourage digital detox: turn off, shut down, and log out! Our face masks are supplied in glass jars for easy re-use or recycling. 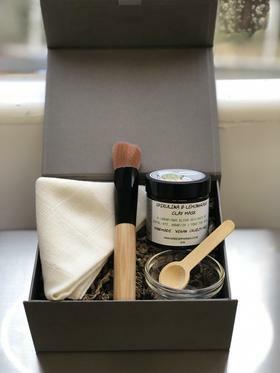 A lovely wooden gift box containing a jar of powder clay mask, a cotton and bamboo cloth, a glass bowl, a wooden spoon and a brush. Pamper yourself – or somebody else – with this gorgeous gift set! Spirulina has many vitamins, minerals, proteins and can help detox the skin, fight free radicals and also contains antibacterial properties which can help combat acne-prone skin. The mask also contains lemongrass essential oil, which gives a lovely uplifting scent to the mask and helps encourage good skin tone and a glowing complexion. I recently completed the Certificate in Preservative Free Face Mask Formulation (which was awesome and I totally loved it) and have two masks available for sale now. I entered my Spirulina Superfood Mask into an competition and I won a gold award! Thank you Gail and Gareth for running the fab courses! Offering handmade, all-natural products for all age groups: created with you and the earth in mind. A proud supporter of the Australian Cancer Research Foundation: we donate 20 cents from each product sale to this worthy cause. At Wicked Fusion we believe in all-natural skincare and beauty products. The oils, grains and other ingredients we use set us apart from the mainstream: our products will help you feel better – naturally! Our innovative facial cleanser comes in single-use bags, which are completely non-toxic and contain no staples, glue, bleach or chemical adhesives. Simply wet the bag with water and massage face gently with the bag in a circular motion. 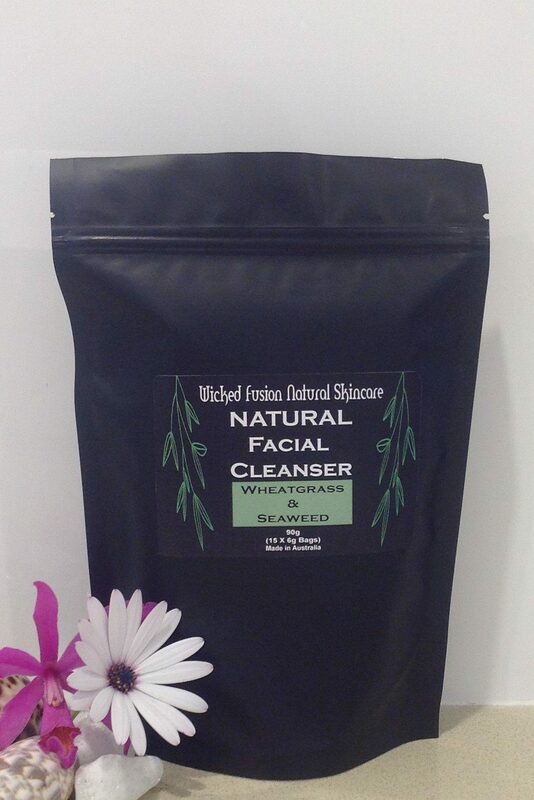 Filled with 100% natural ingredients, including ground adzuki beans, colloidal oats, organic banana powder, and wheatgrass and seaweed powders, this products cleanses deep into the pores without harsh scrubbing, leaving your skin feeling clean, toned, soft and smooth. 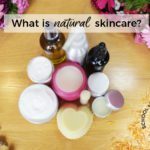 After completing [the] Diploma in Natural Skincare [Formulation], I was surprised to see that many products on the market contain harmful carcinogens and preservatives that have negative long-term effects on the body. My personal interest coupled with the birth of my first grandchild motivated me to create all-natural products that will not have any negative effects.